Growing a business is tough, we know. 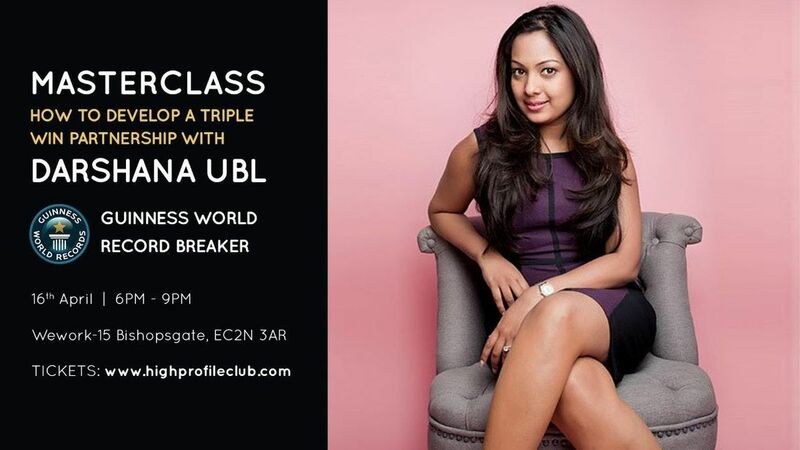 But if you work with partners it shouldn't be so tough, so we invite you to come along to our workshop to learn all about the Triple Win® Method develop by Darshana Ubl, who managed to break a world record in 2014. Darshana Ubl is a serial entrepreneur who believes in blending her passion with work to create businesses that are aligned in values and goals. As an investor and a sustainability advocate, Darshana sits on the advisory boards for a number of businesses. Darshana is regularly invited to contribute in the UK and international media for her views on the economy and business generally. She has been an ambassador for small business on BBC News, Sky News, BBC Radio and more. Over the past years, she has been frequently seen on BBC News commenting on UK budget and Autumn Statement. As a keynote speaker, she has delivered talks on business, TripleWin®, women empowerment and sustainability to companies such as Alibaba, DBS Bank, NatWest Bank, SagePay,etc. Her talk on the TripleWin method was featured on TEDx and she also lead one of the companies she was a CEO of to achieve a Guinness Book of World Records title. Contribution is key for Darshana and she has helped raise funds for several charities such as Princes Trust, Cherie Blair Foundation and Make a Wish Foundation. Once a year she organises a Charity Gala called Verve Charity Gala in Central London. 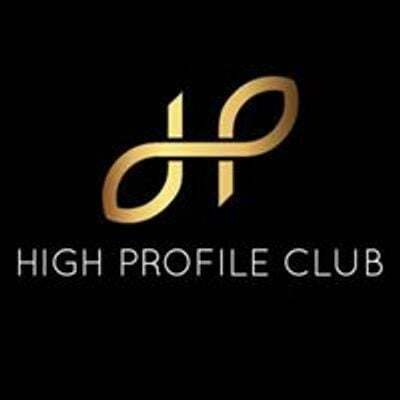 What is HIGH PROFILE CLUB? We are an award-winning tech PR platform that gets you featured in the media. We're a growing community of entrepreneurs who are experts in their field and keen to help one another to grow their businesses.Our members have been featured in Forbes, BBC, Grazia, Smallbusiness.co.uk, Startups.co.uk, CBNC, TechRound, The Daily Mail, Metro, Virgin Television and many other magazines, newspapers and news websites. Check highprofileclub.com/features see all the features we managed to get our clients. Please note that all of our events are recorded. If you would not like to be photographed or filmed, please let a member of staff know on the day. PLEASE NOTE: You can attend up to 3 events if you are not a member of High Profile Club.